Poppy is in the final year of her Fine Art BA degree at The University of Sunderland. Her favourite medium is graphite but she has recently started using oils to create realistic portraits of dogs and have even started using mediums like film and installation. Previously she has focused more on drawing and painting portraits of people. However it is the relationship she has with her own dog that has changed her work. 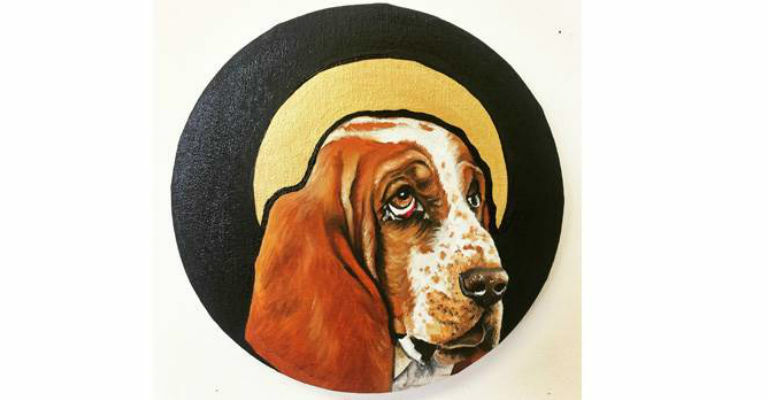 After doing preliminary sketches of her dog, she realised that other people feel a similar closeness with their pets and in turn this created the concept of dogs and people sharing the belief that to its owner a dog is an Icon (a God-like being) and vice versa.